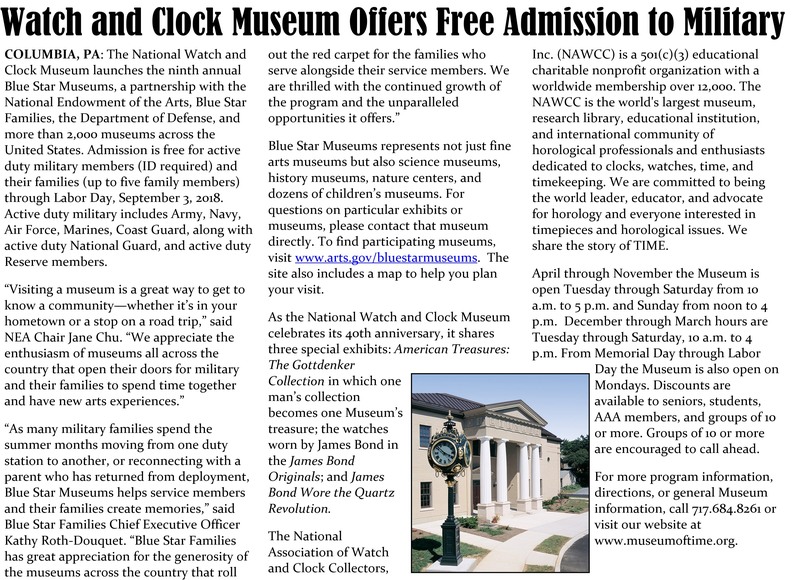 The National Watch and Clock Museum launches the ninth annual Blue Star Museums, a partnership with the National Endowment of the Arts, Blue Star Families, the Department of Defense, and more than 2,000 museums across the United States. Admission is free for active duty military members (ID required) and their families (up to five family members) through Labor Day, September 3, 2018. Active duty military includes Army, Navy, Air Force, Marines, Coast Guard, along with active duty National Guard, and active duty Reserve members.